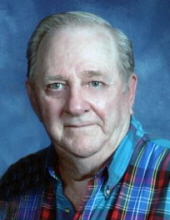 Russell Brace Schmidt completed his earthly journey on January 12, 2019 and went to his heavenly home with Jesus, his LORD and Savior. A celebration of life will be held 11:00 a.m. on Thursday, January 17, 2019 at St. John's Lutheran Church in Nashua with Rev. Paul Schaedig presiding. A private family burial will take place at a later date. Friends may greet the family from 9:00 - 11:00 a.m. on Thursday, January 17, 2019 at the church. To send flowers or a remembrance gift to the family of Russell Brace Schmidt, please visit our Tribute Store. There will be visitation from 9:00 a.m. until 11:00 a.m. at the church on Thursday. "Email Address" would like to share the life celebration of Russell Brace Schmidt. Click on the "link" to go to share a favorite memory or leave a condolence message for the family.